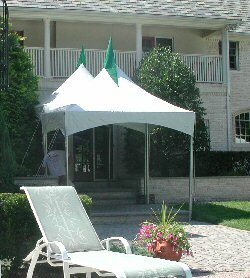 This tent requires 12’ x 12’ space (footprint) for staking. 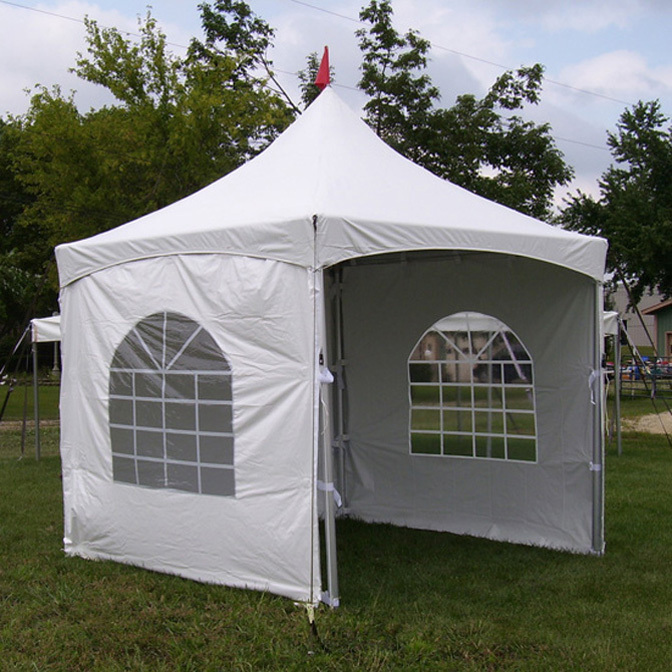 The tent features a two piece seamless appearing top that is made of 16 oz. vinyl and laminated polyester to block out the sun. The installation is quick and easy, allowing you more time to setup your tables and chairs. 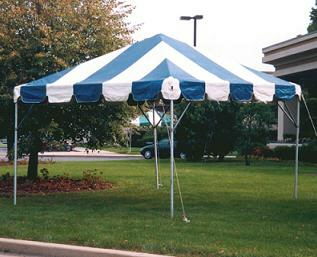 We provide ‘double web ratchets’ at each corner of the tent to assure uniform tensioning. Solid and cathedral windowed walls are also available to add weather protection and style.